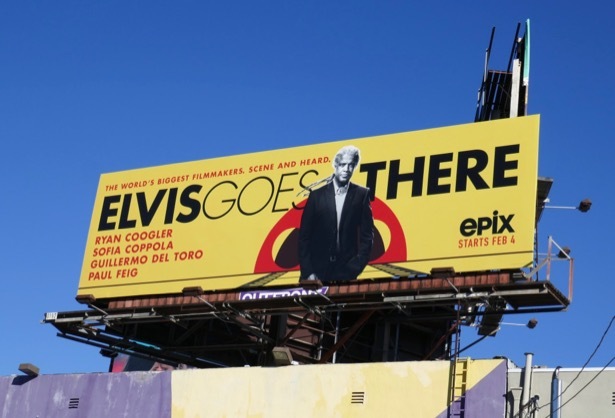 In the new Epix documentary series, Elvis Goes There, veteran journalist Elvis Mitchell travels with A-List filmmakers to inspiring locations around the globe that shaped the actors and directors work and identity. 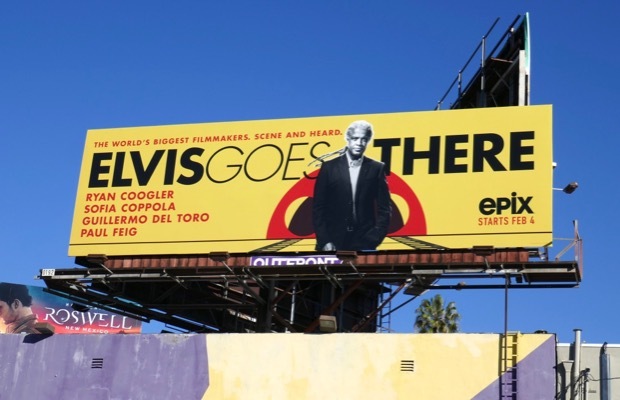 In this first batch of episodes he wanders Oakland with Black Panther's Ryan Coogler, London with Bridesmaids Paul Feig, Paris with Lost in Translation's Sofia Coppola and Los Angeles with The Shape of Water's Guillermo del Toro. 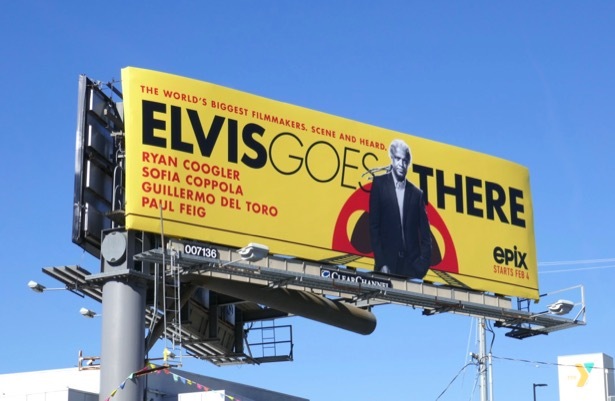 These striking yellow series launch billboards really stand out in a cluttered city skyline were snapped along San Vicente Boulevard at the Sunset Strip and along Santa Monica Boulevard from February 6 to February 8, 2019. 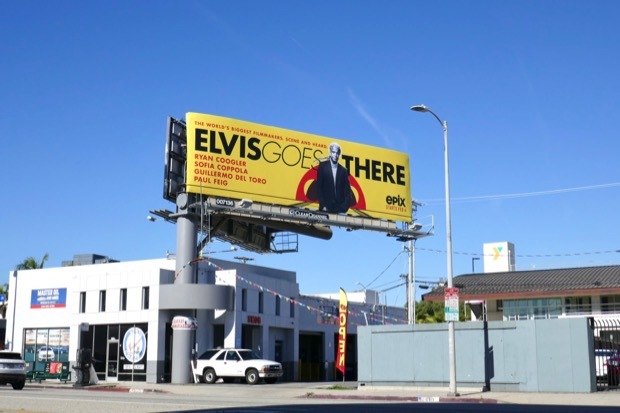 Where will Elvis go and who will he interview next? 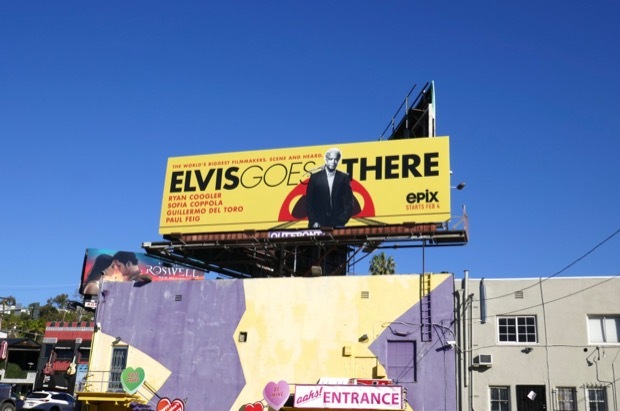 The possibilities for the docu-series and his traveling companions seem endless.